One custom-made 18 karat yellow gold bracelet, made by Eva Nueva. 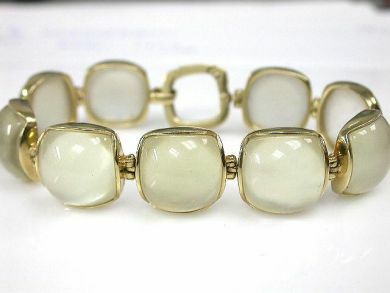 Nine mother of pearl backed, cushion cabochon green quartz (98.42 carats). 7.5 inches long.